These delicious recipes from star chef David Chang include spicy brussels sprouts with mint and Korean sushi rolls. 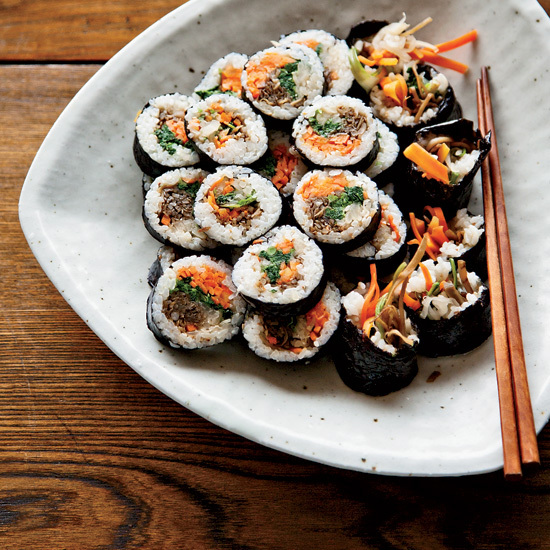 David Changwas inspired to make these playful rolls by a snack he had at Yunpilam, a temple in South Korea, where the nuns served him edamame mixed with walnuts and molasses. His rolls have an edamame-and-walnut filling; unlike other sushi rolls, they can be served warm. 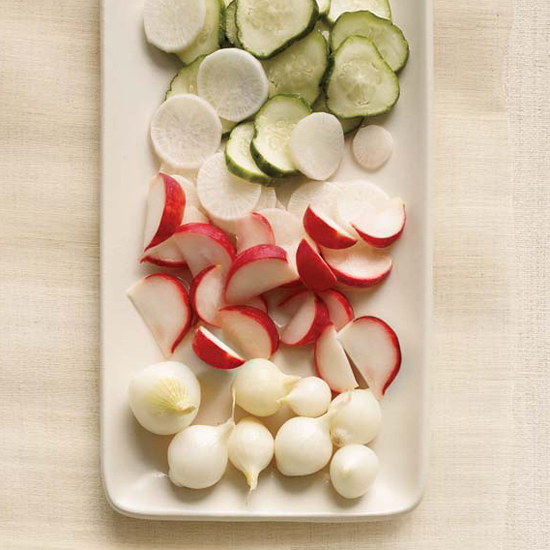 In Japan, salt pickles are a staple. F&W Best New Chef 2006 David Chang serves his right after seasoning, while they’re still vibrant and crunchy. The sweet-and-salty vinaigrette on these sprouts, bolstered by fresh herbs and chiles, is a staple at David Chang’s Manhattan restaurant Momofuku Ssäm Bar. 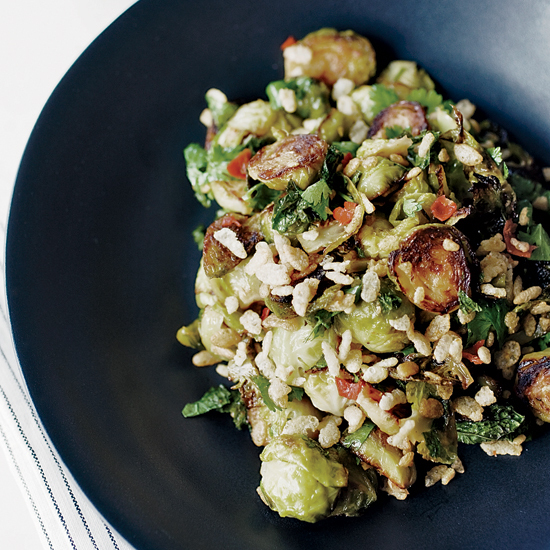 The key to the dish is to almost burn the brussels sprouts; the charred flavor is irresistible. 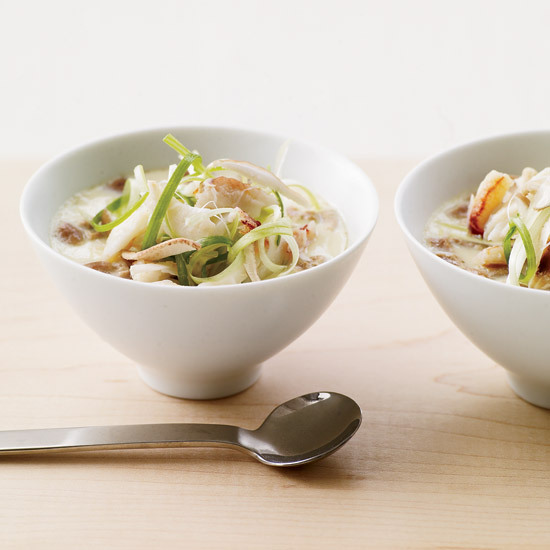 David Chang’s cookbook Momofuku reveals the wildly creative New York City chef’s obsession with Asian flavors, as in this steamed Japanese egg custard with mushrooms and crabmeat. 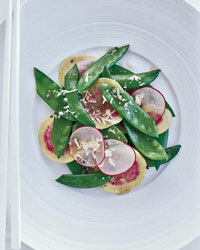 Convenience-store wasabi-coated peas, a fiery, crunchy snack, inspired this vibrant summer dish from David Chang. Chang decided to echo the flavor of the peas by tossing some of his favorite crisp vegetables from the farmers’ market (including snow peas and sugar snaps) with fresh horseradish. Be sure to grate the horseradish at the very last minute, he advises, since it loses potency quickly as it sits. 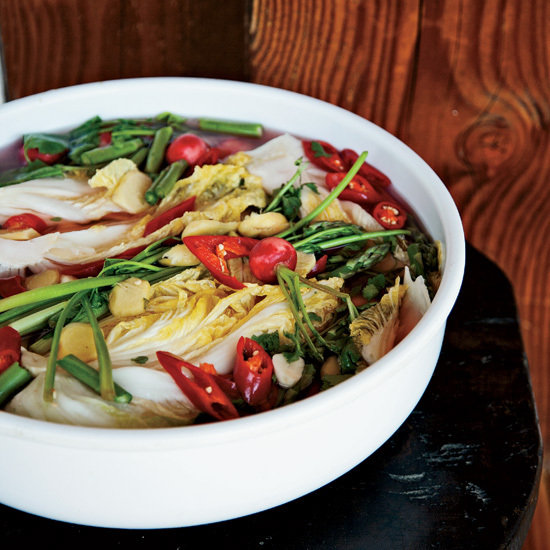 “You see 7UP quite a bit in Korean recipes,” says David Chang. 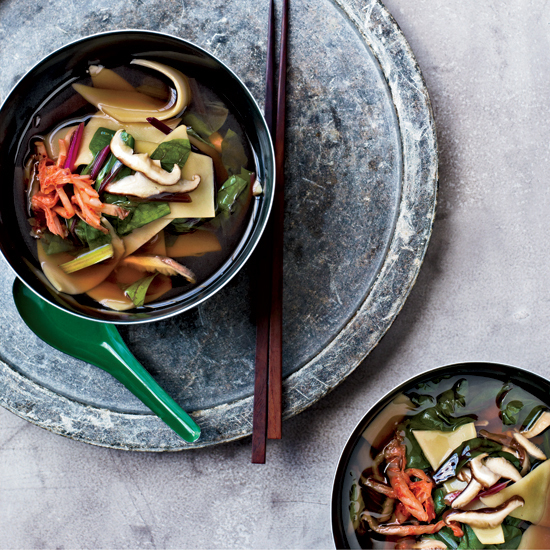 “My mom cooked with it: She put it in a noodle dish, she added it to beef stock.” When he wanted to prepare a quick “white” version of kimchi, Chang opted for 7UP; it adds lovely bubbliness to the cabbage. It can be served as a side dish like traditional red chile kimchi or with cold noodle soup. 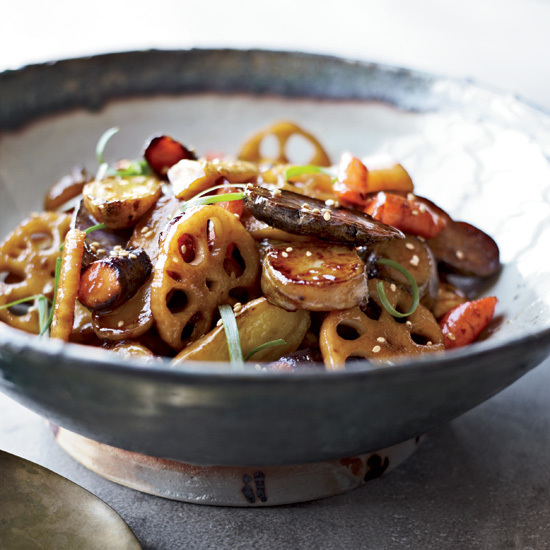 David Chang created this dish as a play on Korean sweet-and-sour pork—but without the deep-fried meat and cloying sauce. 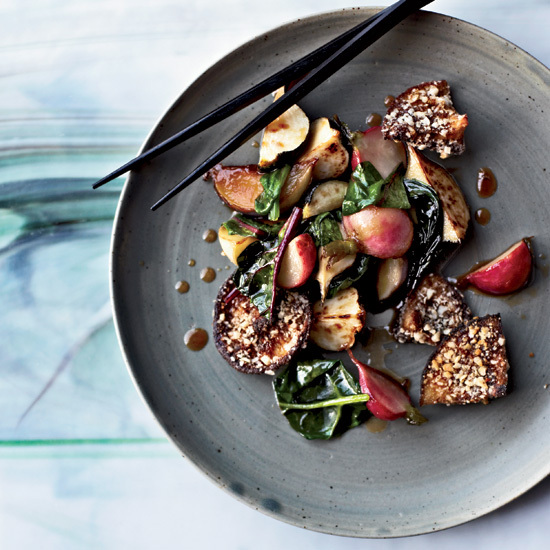 Instead, he tosses turnips and radishes with a mix of honey and soy sauce and serves them with sautéed shiitake mushrooms that have an ingenious, crispy rice-cracker coating. 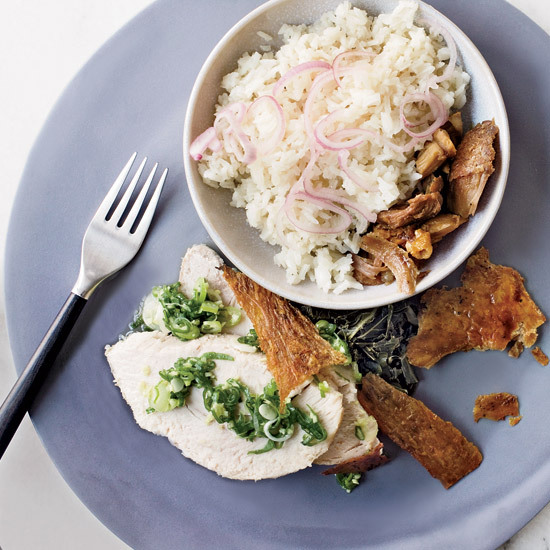 David Chang recommends poaching turkey breast in leftover turkey stock before serving it with ginger-scallion sauce.